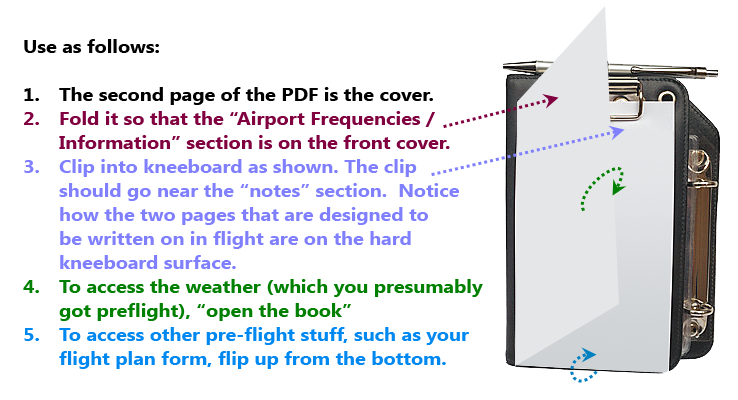 Keep all your IFR paperwork in one place. 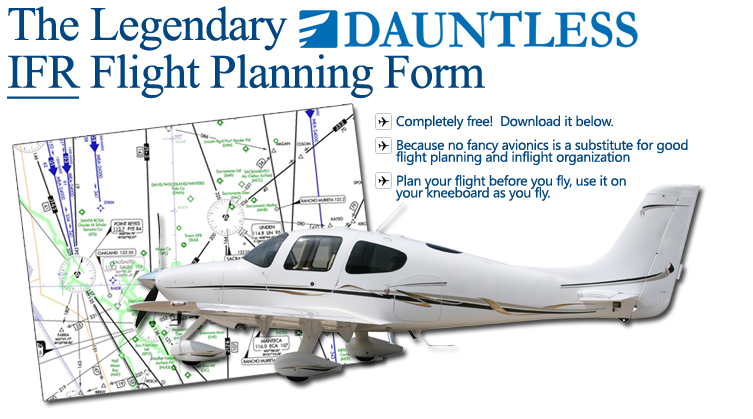 Our IFR flight planning / enroute form is ergonomically correct-- laid out cleverly to be usable on a standard kneeboard--and informationally rich--providing a host of important features the others just don't. FAA vs ICAO? - Our IFR flight planning form is now available with both traditional FAA and ICAO flight plan filing subforms. As of this writing, pilots in the USA are still welcome to use the old/traditional FAA flight plan form but are increasingly encouraged to use the ICAO form. At some point in the future it is conceivable that the ICAO form will become standard in the USA as well.